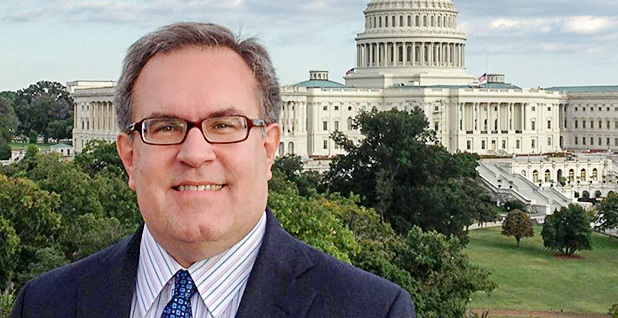 Former coal lobbyist and Senate staffer Andrew Wheeler appears to be one vote closer to confirmation as U.S. EPA deputy administrator, after securing the backing of another moderate Democrat. Sen. Joe Manchin (D-W.Va.), who is running for re-election in increasingly red West Virginia, will vote to confirm Wheeler, who is in the queue for a possible vote this week. "He will be supporting him," said Jonathan Kott, a Manchin spokesman, when asked by E&E News whether Manchin would support Wheeler for deputy EPA administrator. With Manchin's backing, at least two Senate Democrats will support Wheeler for the No. 2 position. Sen. Heidi Heitkamp (D-N.D.) — who along with Manchin were the sole Democrats to confirm EPA Administrator Scott Pruitt last year — has already said she'll support Wheeler (E&E Daily, April 9). That suggests Wheeler is on safe ground despite the expected continued absence of Sen. John McCain (R-Ariz.), who is battling brain cancer at home. And should Maine Republican Susan Collins — the lone GOP senator to oppose Pruitt last year — also vote against Wheeler, Heitkamp and Manchin's votes would still push him over the threshold. Even if Wheeler should lose another Republican vote, Vice President Mike Pence could step in and break a 50-50 tie, as he has multiple times during this session of Congress.